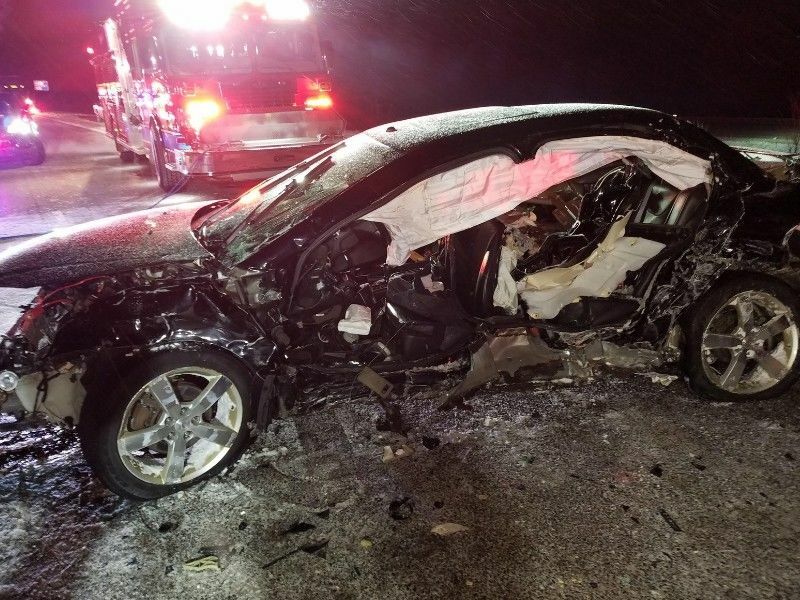 BARRON COUNTY -- Alcohol is believed to be a contributing factor in an early morning crash that resulted in a 23-year-old Cadott, WI man being airlifted with serious injuries, according to a press release from the Barron County Sheriff's Department. (Press Release) -- On Friday, February 1, 2019, at 12:12 a.m., the Barron County Sheriff Department received a call of a one vehicle crash on Hwy 53 just north of Chetek. Deputies from the Barron County Sheriff’s Department along with the Chetek Police Department, Chetek Ambulance, Chetek Fire Department, and Lifelink3 Helicopter responded to the scene. Upon arrival, it was determine a lone male was traveling northbound on Hwy 53 and struck a guardrail. The driver was identified as Jack Holstein, age 23 of Cadott. Holstein was extricated from his vehicle and flown by Lifelink 3 to an Eau Claire Hospital with serious injuries. There were no other vehicles involved. Holstein was the only occupant in the vehicle. Alcohol is believed to be a contributing factor. The northbound lane of Hwy. 53 was closed for about one hour. The crash is being investigated by the Barron County Sheriff’s Department.